Europe as the one city. That’s the idea of group of young people, who would like to organise project called Hello Europe. The main aim is to connect all Europeans. How? Easily via modern technology. In European cities will be palced big screens that will be connectet, so people standing in front of them would be able to see and hear each other. The purpose of this project is to empower/build the capacities of local youth NGOs in Turkey, Lithuania, Poland, Latvia, Bulgaria, Cyprus, Slovakia, Slovenia, Romania in advocacy in order to effectively influence local and national policies. Now the future of ERASMUS program is in your hands! Young citizens of European Union, we need your HELP! The page you requested is not available in this language. „One Image, One Message“ – poď s VMSR do Srbska! Last week YESR became partner in the project ROCK THE UNION. What is it about? 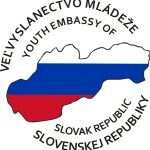 Group of young people will be on the tour from October 2013 till May 2014, when their bus goes through all European Union member states to raise awarenes about Europian Parliament elections in 2014. Nowdays the threat of cyberbullying is part of our everyday lives. Unfortunately, there are still people who underestimate this kind of bullying and it can have terrible cosequences – the worst is death of young people. IUVENTA (Slovak Youth Institute) organised in July 20th – 22nd 2013 international conference for people working in the field of non-formal education and youth. At the end of the conference Slovak minister of education, science, research and sport and representatives of international companies and organisations ( such as Emerson, Microsoft, Dell, Junior Achievement, etc. ) signed Declaration on recognition of contribution of non-formal education in youth work. Copyright © Youth Embassy of Slovak Republic.